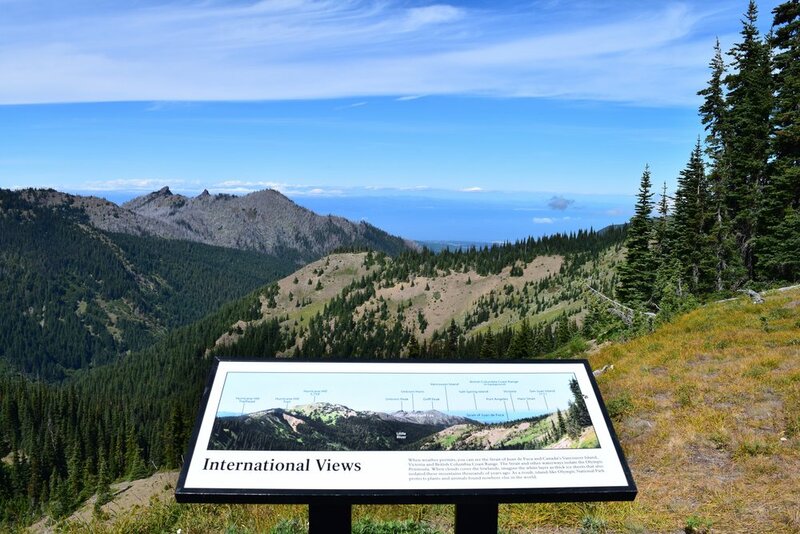 Hurricane Ridge Guided Hiking Tour - Olympic Hiking Co.
Hurricane Ridge: This Olympic Hiking Co. guided tour begins by driving from sea-level in Port Angeles to 5,242 feet elevation at the Hurricane Ridge Visitor Center on one of the top scenic drives on the Olympic Peninsula. 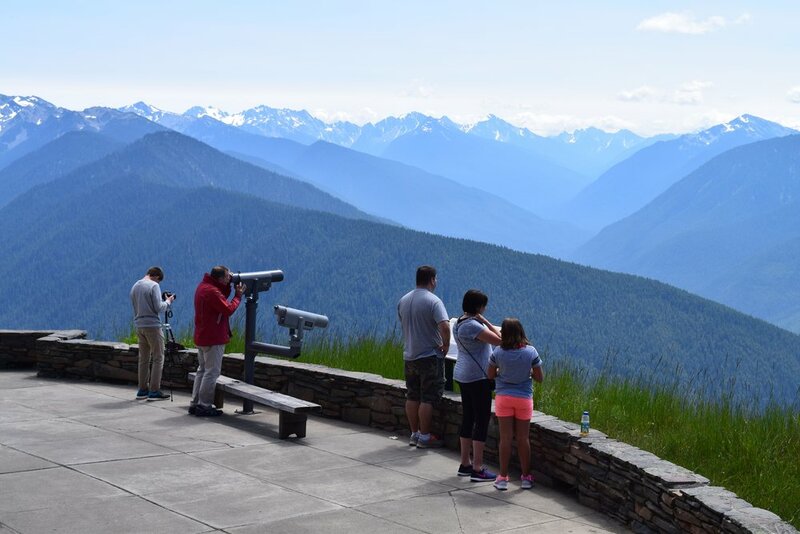 At Hurricane Ridge, you can participate in our guided hiking tour up to 1.5 miles on scenic nature trails or you can simply savor one of the best views of the Olympic Mountains in Olympic National Park. 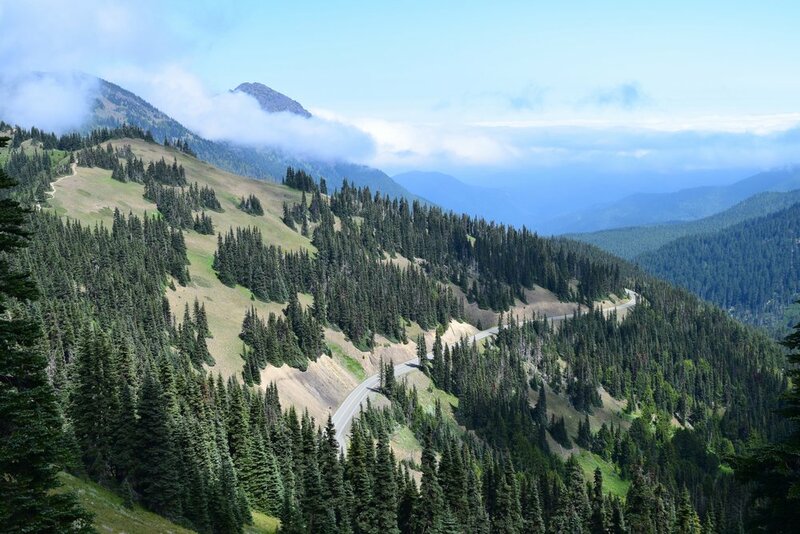 The tour begins with a scenic chartered shuttle from sea-level in Port Angeles to 5,242 feet elevation atop Hurricane Ridge. 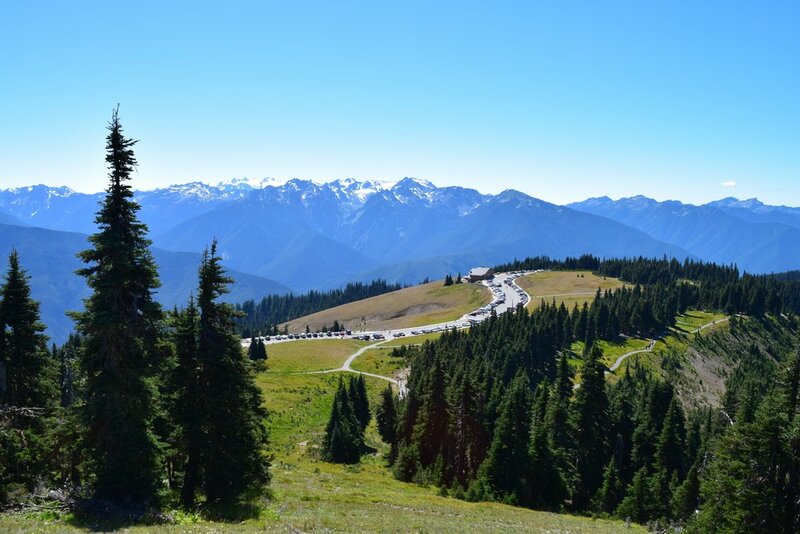 Upon arriving at the Hurricane Ridge Visitor Center, enjoy a front-row view of the snow-capped Olympic Mountains! You can participate in a guided hiking tour led by Olympic Hiking Co. or simply enjoy the beautiful views from the well-positioned Visitor’s Center. 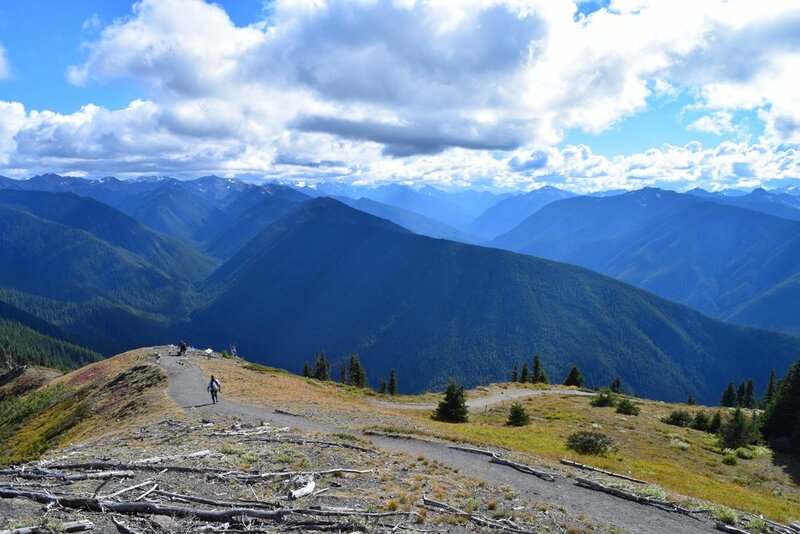 On a clear day, these trails provide incredible views of Mount Olympus, the Strait of Juan De Fuca, and gorgeous subalpine terrain. Please call or email us if you have any questions about this tour!